Soviet/German Relations: Soviet Foreign Minister Vyacheslav Molotov arrives on 12 November 1940 at the Berlin train station at midday. German Foreign Minister Joachim Ribbentrop meets him there and they then sit down for a meeting. 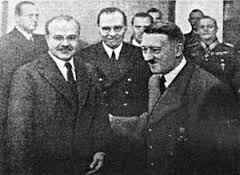 They then proceed to the Reich Chancellery, where Molotov meets Adolf Hitler. At the first meeting, Ribbentrop sets forth the New World Order which he has outlined in his letter of 14 October (delivered several days later). He states that the Axis Powers will divide the world, with the Soviet Union to possess India and Southeast Asia to the Persian Gulf. Basically, Germany will possess Europe, while the Soviet Union will take the remainder of the Eurasian landmass with the exception of areas in the Far East (primarily China) claimed by Japan. Italy would have, well, Italy, as well as parts of Africa where it had historic interests (but Hitler undoubtedly had desires for at least the restoration of the old German colonies in Africa, that was a common desire in Germany after World War I). At the meeting with Hitler, the two reach some surface agreement about German/Soviet relations as benefiting from peace between the two nations - though both secretly are dealing in bad faith: Germany and the Soviets both are in the process of drawing up invasion plans against the other. The gist of Hitler's remaining remarks is that the Soviet Union's future lies in the East, not in Europe. Molotov, for his part, is not impressed by Hitler. Personal impressions aside - Molotov has some smart remarks to make about that later - Molotov is not impressed by Hitler's attempt to focus the Soviet Union on Asia and the Indian sub-Continent. Instead, he zeroes in on issues in Europe, such as recent German agreements for troop movements in Finland which the USSR sees as threatening. The essence of Molotov's argument is that it is much too early to worry about Asia, as there are many issues in Europe that need to be resolved first. He is adamant that the Soviet Union has an interest and security concerns in the region. Molotov also finds it of concern that the Soviet Union is being left with areas that have yet to be conquered, such as British India. 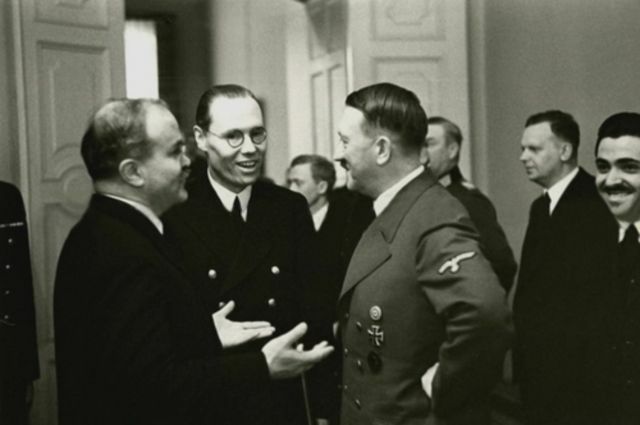 Molotov will be in Berlin for another two days, so the talks adjourn after this meeting, with more meetings scheduled on the morrow. Italian/Greek Campaign: The Greeks begin reorganizing their troops for a counteroffensive against the Italian invasion into two field armies, Ninth Army (Korçë sector) and Eleventh Army (Epirus sector). In the Epirus sector, I Army Corps under Lieutenant-General Panagiotis Demestichas takes over, with its troops including Greek 8th Division. Along the coast, the independent Lioumabas Detachment takes over. The Greeks on the coast are still pushing the Italians back to the Kalamas River, attacking toward Igoumenitsa. The Greeks are assembling overwhelming power against the Italians. Due to the absence of other threats and the assistance of the British, who are landing troops in Crete and near Athens, the Greeks can assemble their entire military to oppose the Italians. Greek commander-in-chief Alexander Papagos now has over 100 infantry battalions facing fewer than 50 Italian battalions. The RAF bombs energy facilities in the Italian supply port of Durazzo in Albania. European Air Operations: RAF Bomber Command attacks oil installations in Cologne and Gelsenkirchen, an inland port at Duisburg-Ruhrort, and railway installations both near Cologne and in the Ruhr industrial region. In addition, it attacks the U-boat pens at Lorient, the ports of Flushing and Dunkirk, and airfields in northwest Europe. 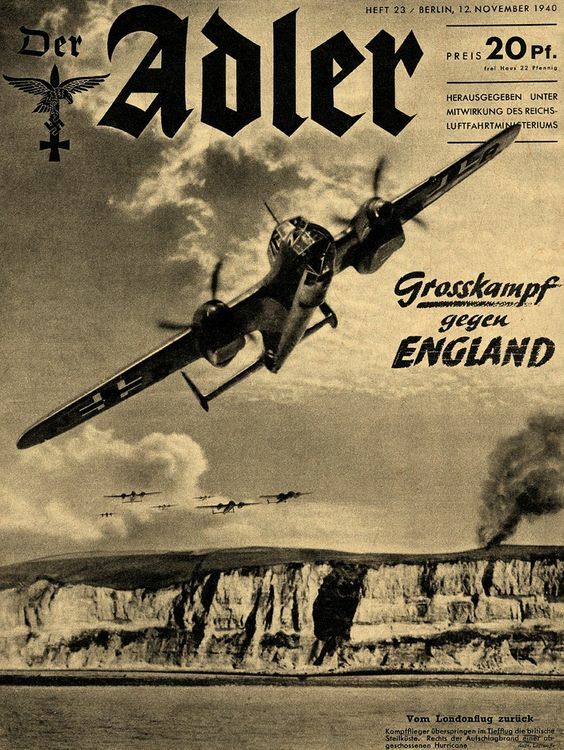 The Luftwaffe sends numerous small attacks against England during the day. At night, a large raid against London hits a movie theater, two American ambulance centers, and working class areas. Other attacks take place on the Liverpool area and the Midlands. Der Adler ("The Eagle"), 12 November 1940. Battle of the Atlantic: British 661 ton coaster Argus hits a mine and sinks in the Thames Estuary northeast of the Isle of Sheppey, Kent. There is one death, and 34 men are rescued. British 91 ton trawler Lord Haldane sinks in or near the Bristol Channel, perhaps due to mines (many other ships have been lost to mines in the area). Dutch naval tug Witte Zee runs aground at Oxwich Point, Glamorgan and is wrecked. Five Royal Navy minelayers create minefield SN 43, another minelayer (HMS Adventure) puts down mines east of Inishtrahull. Convoy FS 334 departs from Methil, Convoy BN 88 departs from Bombay (it has the troops from Convoy WS 3 in 11 transports, plus additional freighters carrying supplies), Convoy SL 55 departs from Freetown, Convoy BS 8A departs from Suez. Royal Navy Anti-Submarine Warfare trawler HMS Rumba (T 122, Lt. Norman E. Hendy) is commissioned. auxiliary cruiser Ramb III - undamaged. The Royal Navy ships sink all four merchantmen in the convoy and suffer no damage to themselves. The Regia Marina suffers 36 dead and 42 wounded. Two Italian torpedo boats rescue 140 survivors after daylight; it is unclear how many perish. The Royal Navy considers a second strike on Taranto by aircraft from HMS Illustrious during the night, but Admiral Cunningham cancels it due to poor weather at 17:00. The Italians, meanwhile, disperse their shipping ther to the ports of Naples, Messina and Palermo until defenses at Taranto can be improved. The remaining Italian naval forces remain formidable, including three intact battleships, but the Italians apparently do not even consider sending them out against the Royal Navy. Separately, RAF bombers raid Bahir Dar in the Horn of Africa (Italian East Africa). At Malta, reinforcements received in Convoy MB 8 of the 11th are put into position. The island now has six British battalions, two batteries of 25-pounder artillery, and a company of light I-tanks. The British War Cabinet considers these troops adequate for the time being and views Malta as a strategically important base from which to interdict possible Wehrmacht troop movements to North Africa. In part, the ongoing occupation of Crete is viewed as a bridge to Malta, which operates as a forward base against Axis troop movements across the Sicilian Narrows. 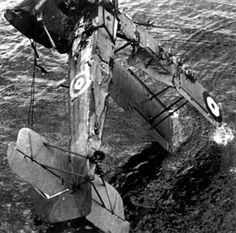 The Italians pull one of the two Royal Navy Swordfish bombers lost in the Taranto Raid out of the harbor. …every bomber in the Luftwaffe….will take place by moonlight between November 15 and 20. Interesting, the official code name for the attack (unknown to the interlocutors) actually is Operation Mondscheinsonate (Moonlight Sonata). The intelligence staff passes along the information, which it considers likely to be false. Prime Minister Winston Churchill, however, has the benefit of Top Secret Ultra decrypts. He knows the information to be true, and also knows that the target will be Coventry. However, Churchill feels that he cannot say anything about this for fear of revealing the critically important Ultra operation. Japanese/Dutch Relations: The Japanese and Dutch authorities - the Dutch remain a major power in the Far East - conclude an agreement regarding oil supplies to Japan. The agreement provides that the Japanese will receive 1.8 million tons of oil annually. This will partially make up for the Japanese shortfall due to the American oil embargo. 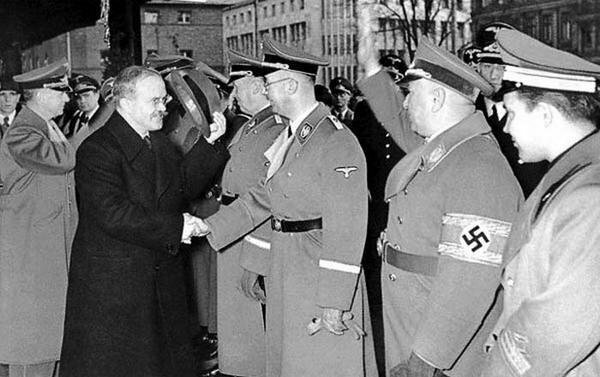 Molotov at the Berlin train station, shaking Heinrich Himmler's hand. Ribbentrop is behind him. Closure of the Straits of Gibraltar, and operations in the Canary Islands, Cape Verde Islands, Madeira and Azores. In addition, this far-reaching directive states that German troops will only cross to North Africa after the Italians take Mersa Matruh, the Wehrmacht will invade Greece "if necessary," and that planning for Operation Barbarossa is to continue - "all preparations for the East for which verbal orders have already been given will be continued." The order also curiously states that Operation Sealion might be "possible, or necessary" in the Spring - making it clear that such an invasion is not, at present, necessary. Fuhrer Directive 18 is notable for its lengthy treatment of operations with virtually no chance of occurring - Operation Felix and follow-up operations dependent upon it - and the short shrift it gives to truly monumental and looming issues - invasions of England and the Soviet Union. Fantastically, Hitler issues this order on the very day that Soviet Foreign Minister Molotov arrives in Berlin, revealing that Hitler expects nothing from those talks. 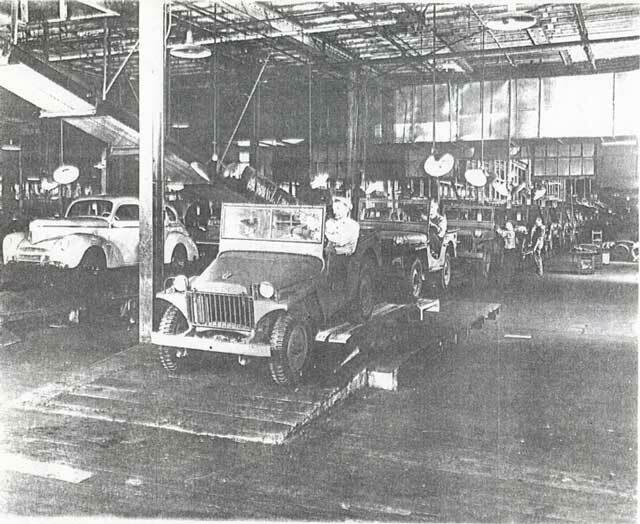 In the event, the operations mentioned in Directive 18 that are never carried out make a whole lot more sense than the ones in it which do take place. Separately, Adolf Hitler notices that his staff is making contingency plans to secure Molotov in an air raid shelter in case of RAF attack (plans which come in quite handy). This sets him to thinking. He decides that he has no protection himself in the Reich Chancellery. He directs that plans be drawn up for a personal command bunker behind the Chancellery - which would become known as the Fuhrer Bunker. US Military: U.S. Secretary of the Navy William “Frank” Knox asks his Special Naval Observer in London, Rear Admiral Robert L. Ghormley, to find out more details about the successful Royal Navy raid on Taranto. Everyone in the US military is extremely happy about the raid and the effectiveness of torpedo destruction of fleets at anchor in fortified harbors. The Japanese are also quite interested in the technical aspects of the raid, and will let the Americans know how much on 7 December 1941. This goes into the special file marked "Be careful what you wish for." Heavy cruiser USS Louisville departs from Buenos Aires, Argentina for Santos, Brazil on its "Show the Flag" mission. Canadian Military: The Chief of the General Staff rejects for the second time a proposal from Colonel Tommy Burns that it form a parachute unit. Gabon: The Free French under Generals de Gaulle and Koenig complete the capture of Libreville and Port Gentil, which is 70 miles south of Libreville. Vichy French Governor Georges Pierre Masson surrenders without a fight, then commits suicide. American Homefront: The US Supreme Court decides Hansberry v. Lee, 311 U.S. 32 (1940). This case limits res judicata ("a thing decided") to the parties to a case. Of course, the previous case can serve as a precedent, but not as a bar to further litigation. 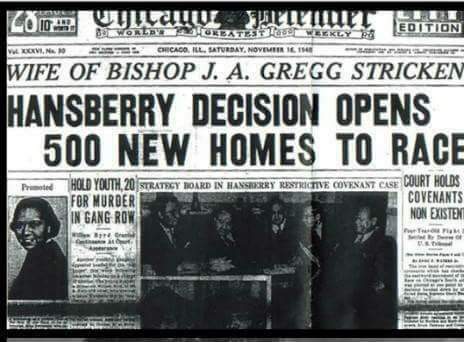 The case involves a racially restrictive covenant in a Chicago neighborhood; the defendants argue - unsuccessfully - that a different plaintiff cannot also challenge the covenant because an earlier court already found it valid. The US is digging out of the Armistice Day Blizzard.